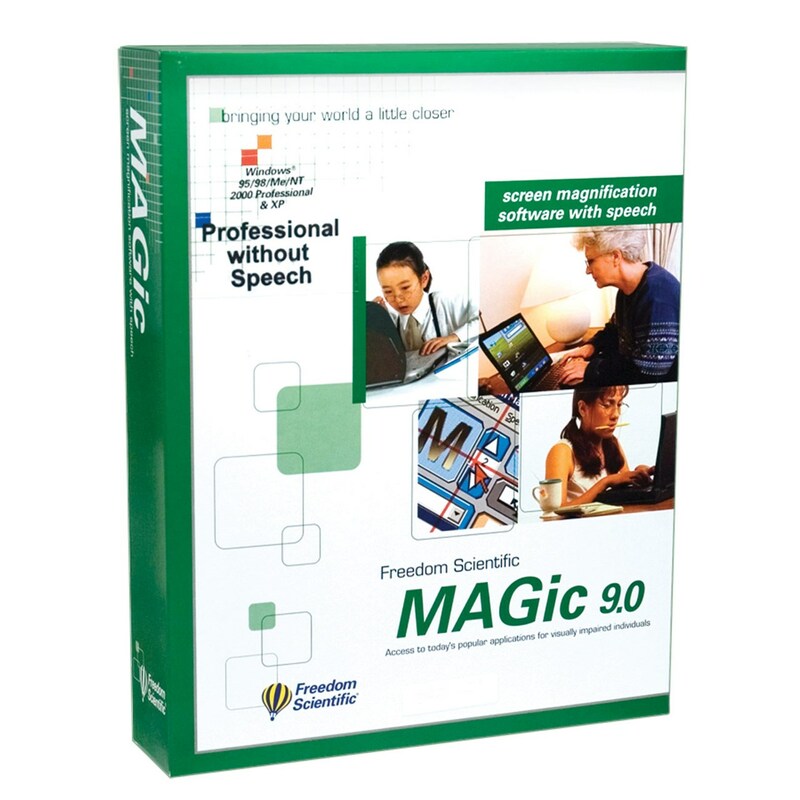 MAGic is a software solution ideally suited for computer users with low vision. MAGic lets you magnify your computer screen from 1 to 16 times its usual size. Choose from several adjustable views to see both magnified and unmagnified areas of the screen. Mouse and cursor enhancements help you track the location of the mouse pointer and cursor on the screen. You can choose from a wide variety of enhancement styles. MAGic lets you change the color of these enhancements, apply transparency effects, adjust their size, and more. Color enhancements let you change how colors appear on your screen. You can apply tinting, view your screen as two colors (monochrome), invert brightness and colors, and switch colors. All these enhancements can be combined to meet your specific needs. With all these features and many more, MAGic brings your world a little closer.